Swat Review Game - Find the cutest fly swatters you can find. I love freaking my students out the first time I pull out the fly swatters. To play, write words, number, etc. on the board. Students divide into teams. Ask questions and students"swat" the answer. Click the pic to read how to play the Swat game in more detail. 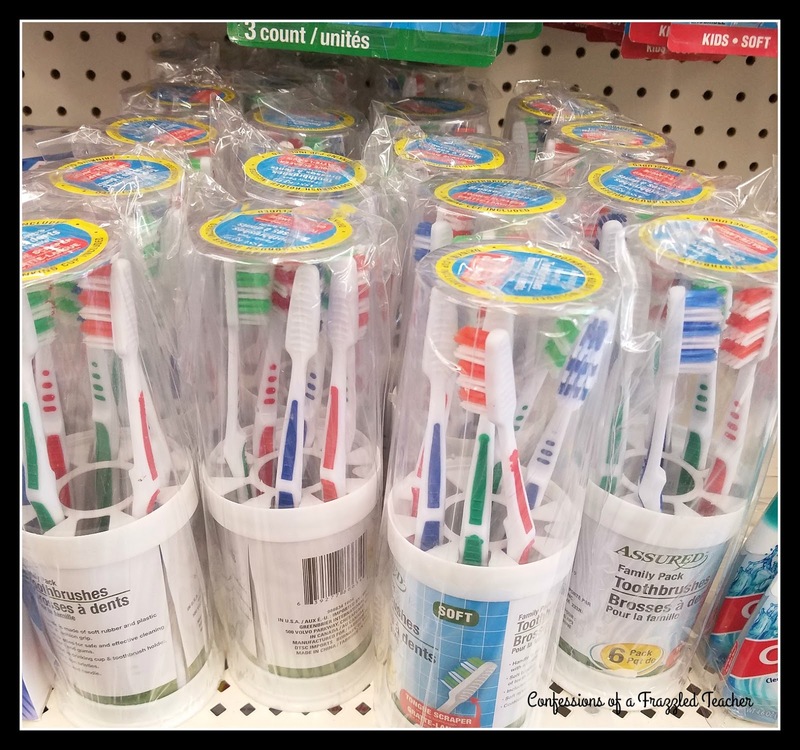 Toothbrushes - These are great to have in February. 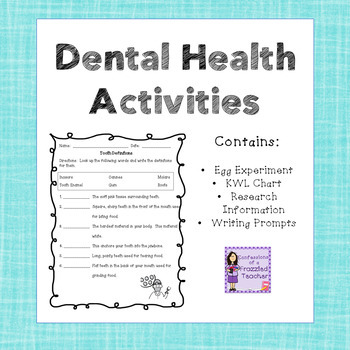 In case you don't know, February is Dental Health Month. 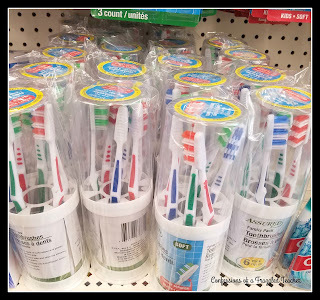 The toothbrushes come in packs of 4 or 6 (if you are lucky enough to find them). I buy enough for every student to use in an experiment (see below). I also keep some in my desk if I have students with poor dental hygiene or chronic bad breath. Science Boards - Great to have around if you have a school that has a lot of fairs that require this kind of board. 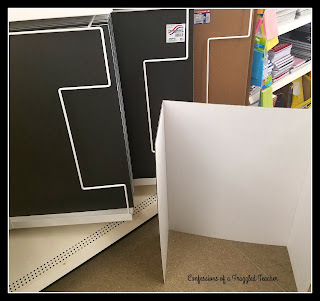 These make great classroom dividers,student offices, and temporary bulletin board displays. I recently saw a pin where someone took a divider, cut it in half, and taped the edges with duct tape to make student dividers. Project! 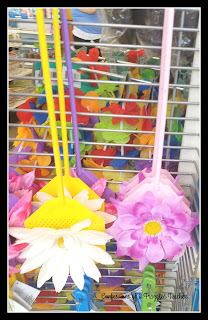 Check out last week's post - Dollar Store Treasures - Part 1 by clicking the pic below. Don't forget to visit me next Tuesday to see Part 3 of my Dollar Store Deals!